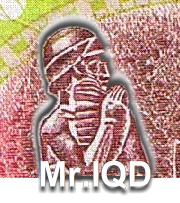 This entry was posted in Home, HOT TOPICS and tagged Annual report, Dinar, IQD, iraqi, Louvre Museum, MrIQD.com, Publishers, rv, wordpress, Wordpress.com by MrIQD.com. Bookmark the permalink. Yea! Now let’s all get involved and expose the hack gurus for ruining our friends’ and family’s lives ! Couldn’t help but compare the amount of comments to the pages/contributers and other information offered in this site–to the numerous ignorant pitiful sugar-dripping comments on Recraps, for instance! Hey. What’s wrong with speaking out more in an effort to expose the out-right lies expounded to encourage more purchase of currency (with disregard for the harm it is doing to the people).